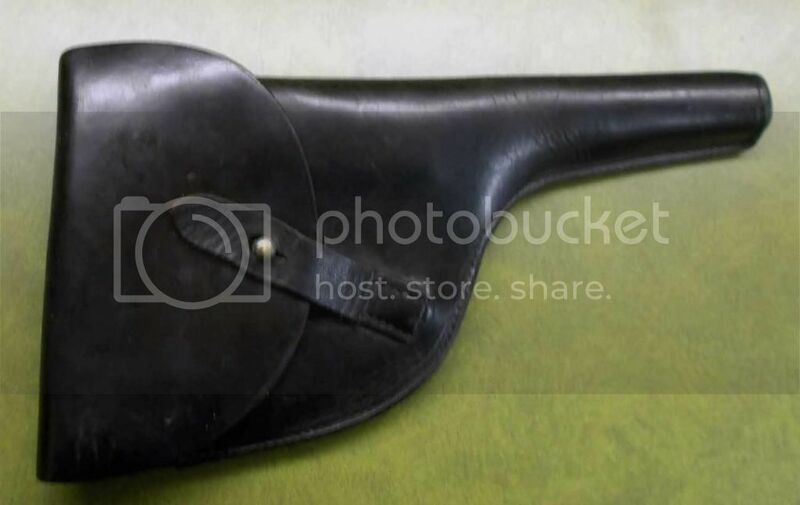 I recently acquired a leather holster which may well be one for the 1920 order of 3.9" barrel Mausers for the French National Police. No one I have contacted seems to know what it is. Please respond if you know anything about such holsters and can identify it. I does not look like the style the German police used. If you are referring to the French police variation, I thought they were sold with wooden holster/stocks. Have you tried a full size C96 in it? The tag and appearance indicate it was for a 1930 model (full size)? I do not have a long-barrel C96, but from my measurements, it could not accommodate anything longer than a 5" barrel. And indeed the tag on it says "1930 Mauser pistol" I do not know by whom or why. I think the M1930s have a 5.1" barrel, and if so, those would probably fit into this holster. But the question remains as to what the holster is. Police? Military? Civilian? whose? And no markings are on it to help. I cannot say for sure who used this type of holster. 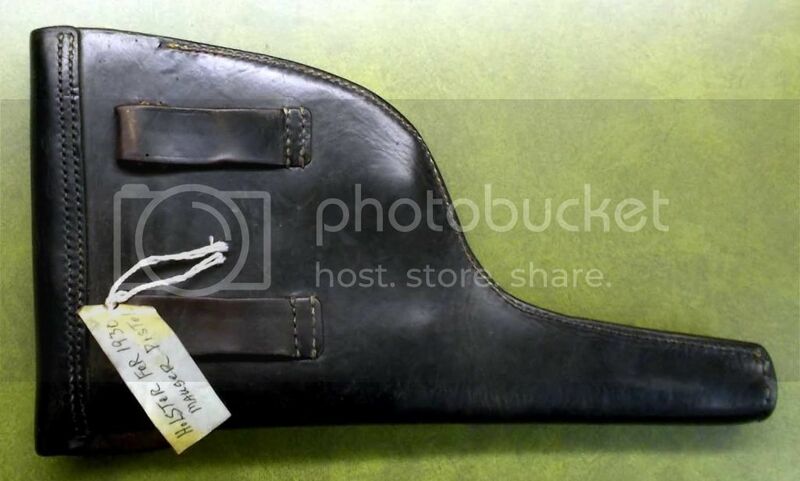 The style does look very much like the reproduction holsters you can find on GunBroker.com with the exception that they have an embossed "US" on the flap and are described as American C96 holsters. Perhaps you could post a picture and the question on Jan Still’s luger forum? There are many knowledgeable C96 collectors there and one may have seen this holster and can provide better info on it. Yesterday, I made up a simple but dimensionally correct wood model of a C/96 with the typical 5.5" barrel (I do not have a C/96). I found that it fit properly in this holster. So possibly the tag indicating that it was for the M1930 Mauser is correct. So far, I have received no further ID information from my postings in other forums. A holster just like mine was just listed on eBay. Unfortunately, all it said was WWII holster for broomhandle. I contacted the seller for more details, and he knew nothing about it.